A superb design of the world map to decorate your living. This world map sticker is perfect for those that love to travel and visit new places! Do you like travelling? 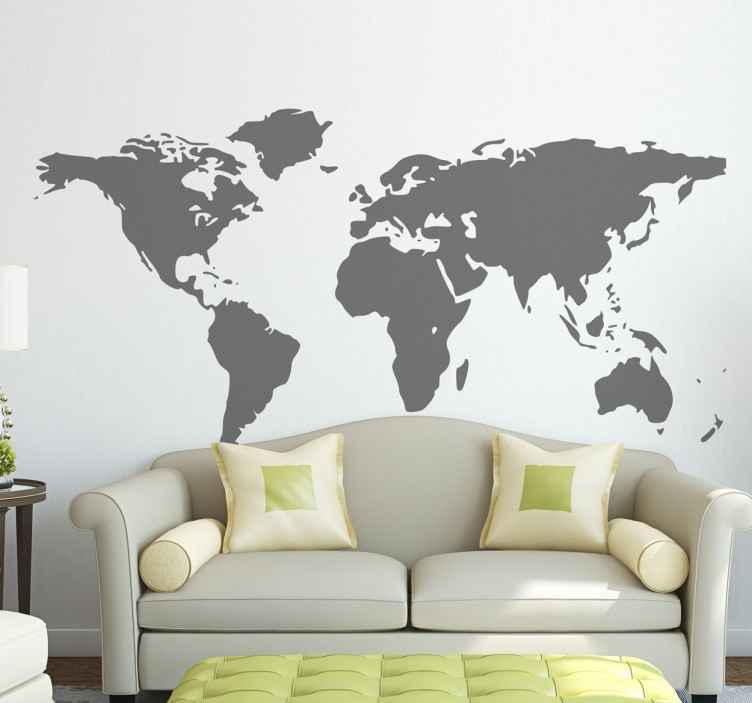 Ever wondered how your living room would look if you had a world map decal on your wall? This magnificent design will give your home an enjoyable atmosphere and a stylish appearance. This original design of the world map is available in various colours and sizes. it is super easy to apply and remove.